On the eve of Game 6 of the first round of these Western Conference playoffs, the Warriors and Nuggets have grown a keen disdain for one another. Before these last five games, there was no such hatred or questioning between the two teams. They were similar Western Conference foes with the ultimate goal of winning an NBA championship, whether practical or not. Playoff basketball happened. The heat-of-the-battle cliché has proven to be true; the playoff atmosphere presented to these two franchises has brought about a side from each we’ve never seen before. It’s fun more than anything. The reactions from national media, local pundits and social media to the shenanigans following Game 5 have been a sight to behold. 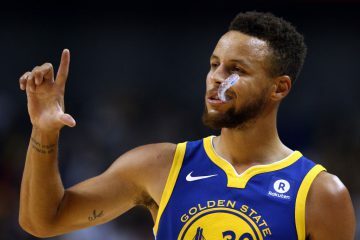 Mark Jackson, George Karl, Stephen Curry, Kenneth Faried and even JaVale McGee have made headlines the past two days for their comments following a chippy Game 5. Faried made what could be described as a dirty play — depending on who you ask — as he stuck out his right hip/knee/foot/leg while Curry was strolling through the painted area. Note: the move was directed towards Curry’s right side, which includes his precious surgically repaired right ankle. The discussion about this play has been exhausting. Whether dirty or not, the overlying theme of this series has transformed into detestation. These teams simply don’t like each other at this point. Sure, they might claim to be friends outside the field of play, but the actions of both teams — both on and off the court — have escalated the teams to clear “rival” status. Whether it be the Clippers, Lakers, Pacers or Nuggets, the Warriors have made their physical play become a known entity this season. Not since the 2007 “We Believe” team have we seen such competitiveness on a game-by-game basis — only to cultivate in an increased presence come the postseason. It’s good, hard playoff basketball, and with the exception of Faried’s hip check in Game 5 it’s all been fair game. The Warriors got into it with both their Los Angeles rivals this season. The Clippers, well renowned for their floptastic techniques, got under the Warriors skin. The Lakers, being the most hated team by Warriors fans, irked everyone with their OT comeback on December 22. These two teams are more natural rivals: Los Angeles — from all Bay Area franchises — is all that is wrong with the world. It’s safe to say Bay Area pundits and fans don’t mind seeing the Lakers get swept by the Spurs, or the Clippers on the verge of a first round exit. The new unnatural rivals: Pacers and Nuggets. Indiana is often regarded as a hard-nosed, blue collar, physical team. 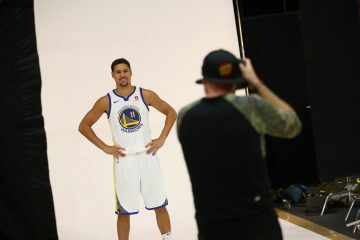 Golden State, conversely, has had a long-standing reputation — whether warranted or not — of being soft. 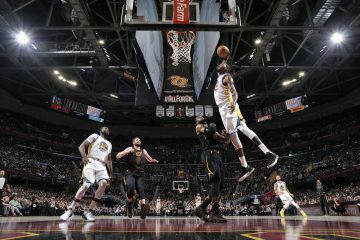 While this reputation is no longer valid, the events that took place during the Warriors-Pacers game in February have a lot to do with their new standing in NBA circles. The scuffle began mid-4Q when David Lee pushed Roy Hibbert on a rebound attempt and ended with all ten players on the floor in the first row. This leads me to the Nuggets, the Warriors freshest and newest antagonists. This won’t reach Los Angeles levels of antipathy, but fans don’t forget the pleasantries. Just like Roy Hibbert will be booed next time he steps foot into Oracle for pushing Stephen Curry to the ground back in February, the Nuggets will be remembered as the team who attempted to injure Curry with a questionable move. This isn’t the beliefs of everyone, understood, but the majority of Warriors fans. 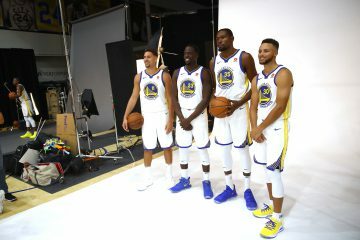 We can agree the playoffs are awesome, and with the Warriors participating this season the attentiveness towards every minute detail has risen incredibly. 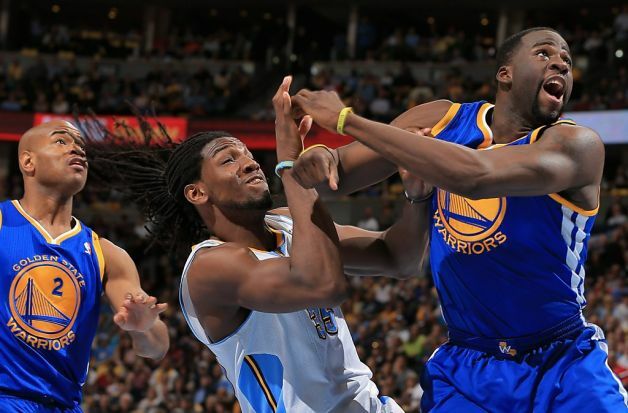 Nuggets players have hit Warriors players and vise versa, players and coaches have taken jabs at each other through the media and both teams have claimed each other to be dirty. Being the playoffs — and the first series for the Warriors in six years — this won’t be taken lightly. For all the buffoonery that George Karl has said this series, he was sure right about one thing: we don’t like them.